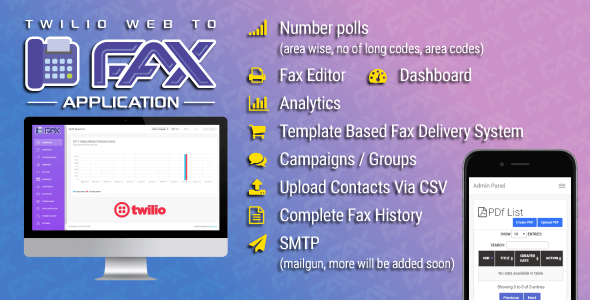 With Twilio WEB To Fax Machine System Application PHP Script you can now send immediate faxes to any fax machine within a couple of minutes. With Twilio Web To Fax Machine System Application PHP Script ready made solution forget about all the hectic api integrations. Simply order our product which is a plug and play system and leave the rest.